Thanks to Leanne for this one!-A.M.
August 5, 2013: Something big is about to happen on the sun. 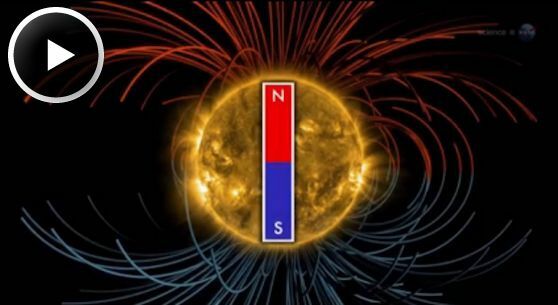 According to measurements from NASA-supported observatories, the sun’s vast magnetic field is about to flip. NextVeritas Radio’s Second Sun with 7 planets around it approaching.